As Board Chair of the Health Care Association of Michigan and President of NexCare, I’ve had a ringside seat to market changes that have impacted post-acute care. I don’t think it is an overstatement to say that the pace and scale of change today is unprecedented. From regulatory requirements to staffing shortages, from new expectations to new technologies and new payment models, everything is shifting. Pressure is mounting. Incremental tweaks and quick fixes won’t go far enough. For skilled care to truly be a part of the modern healthcare landscape, we need new thinking and new energy. That’s why I’ve decided to make a change. I have accepted a position as Vice President at Illuminate HC. Illuminate HC is doing something I’ve never seen before. They are making big changes because they believe change is needed, not because new regulations or reimbursement plans require it. That is rare in our industry. Illuminate HC is different in other ways, too. They invest in developing people – not properties. They care about culture and how care teams are compensated, valued and recognized. They have a one-of-a-kind R&D lab that creates new technologies to enhance patient experiences and improve collaboration and communication among caregivers. Their resource team includes experienced professionals with skills and backgrounds rarely seen in skilled care. It’s refreshingly different and exciting. I am thrilled to be a part of it. 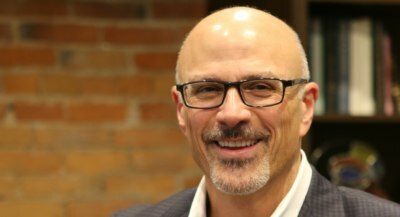 Illuminate HC is putting a stake in the ground in the Michigan market through a robust acquisition plan. I am part of a growing Michigan-based leadership team that works hand-in-hand with the company’s Chicago-based team. My job is to help facilities achieve their goals, to nurture staff development and create a positive, high-performance culture that attracts and retains great people. I’ll also continue my work with HCAM and with industry and government colleagues involved in healthcare initiatives that benefit Michigan. As our work unfolds, I will continue to share highlights. In the meantime, I hope to see many of you at the HCAM/MCAL Spring Leadership Conference (3/21-22).